Here we go, we’re off and running. I have made an extra early start and yes I am counting this game. I took my daughter Lily along with me to meet Leighavfc at this indoor game as part of a finals day at Wolverhampton Uni Walsall Campus. There was seating for probably 100 people and the game was faced paced. Both of these sides are made up of mainly Spanish players. Birmingham in the yellow were better early on. Birmingham took the lead on 2 minutes rolling the ball beyond the keeper. It was 1-1 when Helvecia hit the top corner. 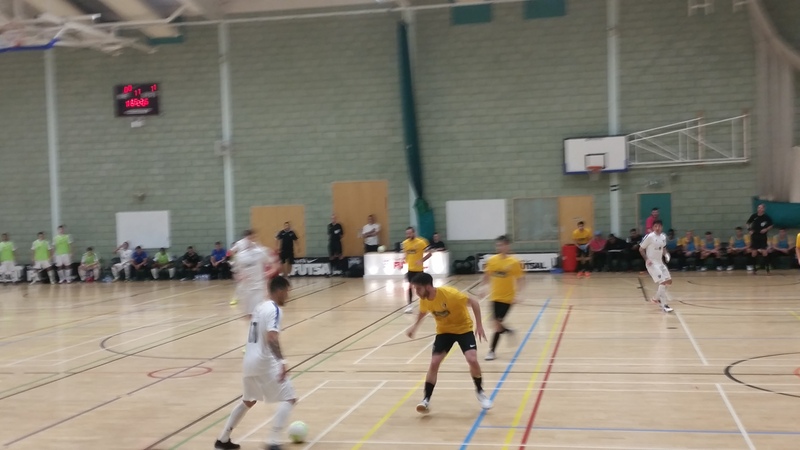 Birmingham took the lead after intercepting the ball and shooting into a empty net. They equalised again firing low. Helvecia then took the lead from.a fierce free kick . Birmingham scored from.a deflected shot. 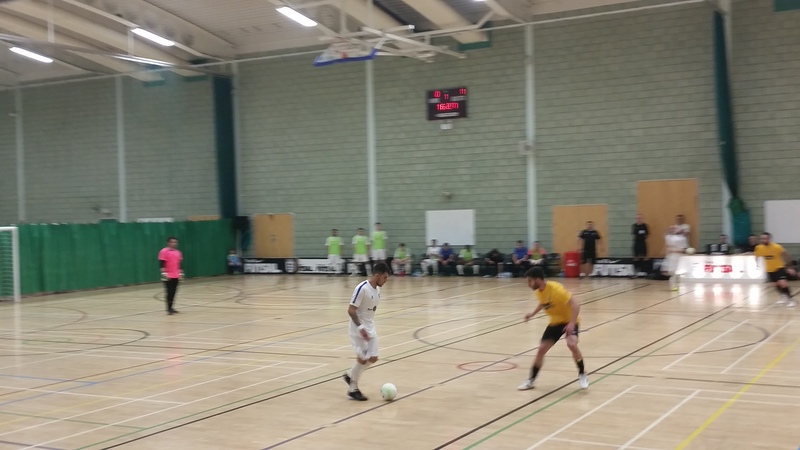 Helvecia were awarded a penalty for 4-3 before Birmingham had a player sent off for a reckless challenge. Helvecia went 5-3 up from a angled low shot before adding another from close range. 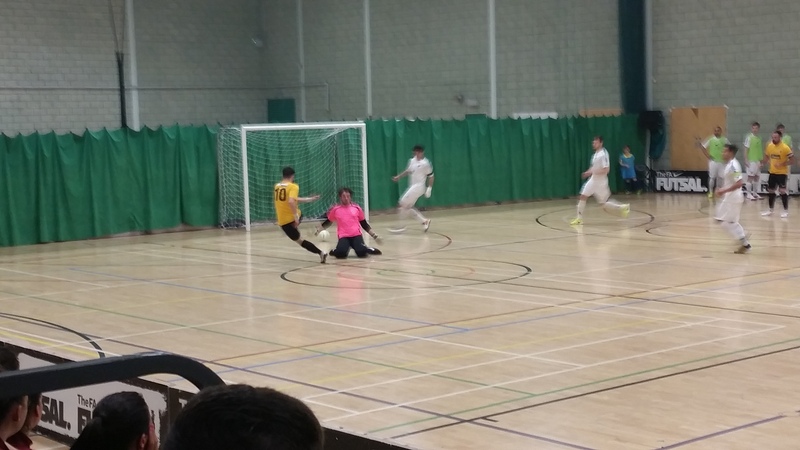 It was a whitewash as it hit 7-3, a long range shot as the keeper was out of position. Birmingham got heir final goal with a close range flick before Helvecia wrapped it up with a shotthrough the defenders legs .